FiftyOne Percent began in 2010 to bring a new, personalized approach to campaign management. We understand every campaign and every candidate is different. That’s why we focus on using data and close collaboration with our clients to develop a plan that will get them the votes they need to win while staying true to their values. This approach has already succeeded in a variety of different contexts, from helping Cory Booker’s successful elections to the United States Senate, to guiding Representative Bonnie Watson-Coleman to victory in a primary that few expected her to win, to giving longshot candidate Andrew Zwicker the tools and advice he needed to defeat an opponent who outspent him three-to-one. FiftyOne Percent is not afraid to take on the toughest fights. FiftyOne Percent was founded on the idea that every campaign is unique and that candidates win when they feel passionate about and invested in their races. We know that there is not one right way to run a campaign, so we focus on working with our clients and using our sophisticated data analysis and behavioral modeling to develop a plan specifically for them that will get the votes they need to win. Mark Matzen, Co-Owner and Partner, has more than 25 years of experience in strategic communications, issue and political campaigns, and coalition building, including extensive experience in political and public affairs campaigns around the country ranging from Presidential to local elections and from California to New Hampshire. 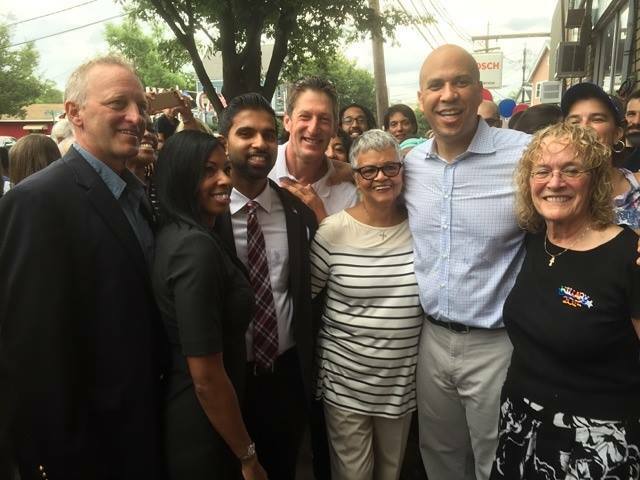 In addition to serving as the Political Director of the Cory Booker for Senate campaign, Mark spent four years managing strategic communications, public outreach, and political organization in the New Jersey State House as Deputy Chief of Staff to Governors Jon Corzine, Richard Codey and James McGreevey. He also served as Chief of Staff and senior political strategist to Representative Rush Holt (NJ-12) for more than five years. During that time, he developed and implemented a communication and political strategy that resulted in Congressman Holt’s re-election in the most highly targeted race in the country. He also devised and executed Mr. Holt’s redistricting strategy, which increased his winning percentage by more than ten percent. Outside of his work on campaigns, Mark developed and executed public relations campaigns as Senior Vice President at MWW Group. At the same time, he provided insights about the political landscape in Trenton and Washington DC as MWW’s senior political adviser. Sherrie Preische, PhD, Co-Owner and Partner is a physicist who holds a Ph.D. in astrophysical sciences from Princeton University and has since gained extensive analytics experience in business, science, and political contexts. Sherrie first left the lab in 1998 to help fellow physicist Rush Holt win his first election to Congress. She stayed with Representative Holt’s team after the race, both in his Washington office to support the Congressman’s focus on science and research as well as serving as his New Jersey District Director. Since then, Sherrie has served as the Executive Director of the New Jersey Commission on Science and Technology, a state agency that provides assistance to technology companies and research universities, and guided policy development as the science and technology policy adviser for New Jersey Governors McGreevy, Cody, and Corzine. She has advised multiple political campaigns over the past 20 years.